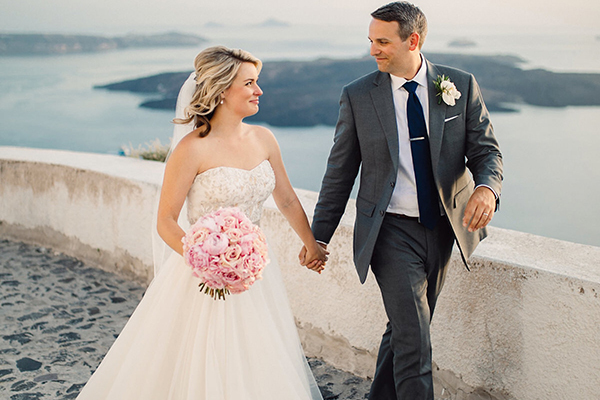 A destination wedding is always dreamy, let alone when it takes place at the beautiful island of Santorini! 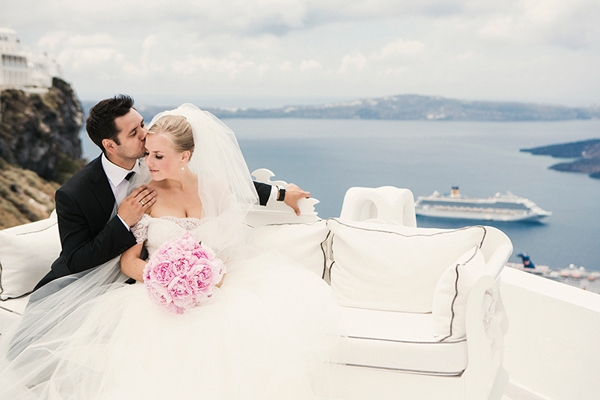 Today’s couple chose to tie the knot at a lovely location with an amazing view of the caldera. 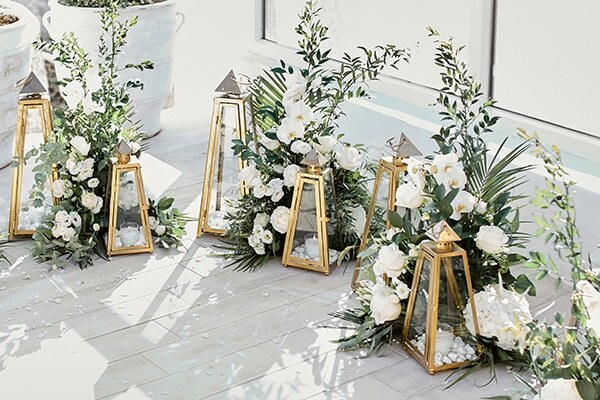 Beautiful arrangements with white flowers and greenery and gold lanterns with white candles decorated the ceremony venue. 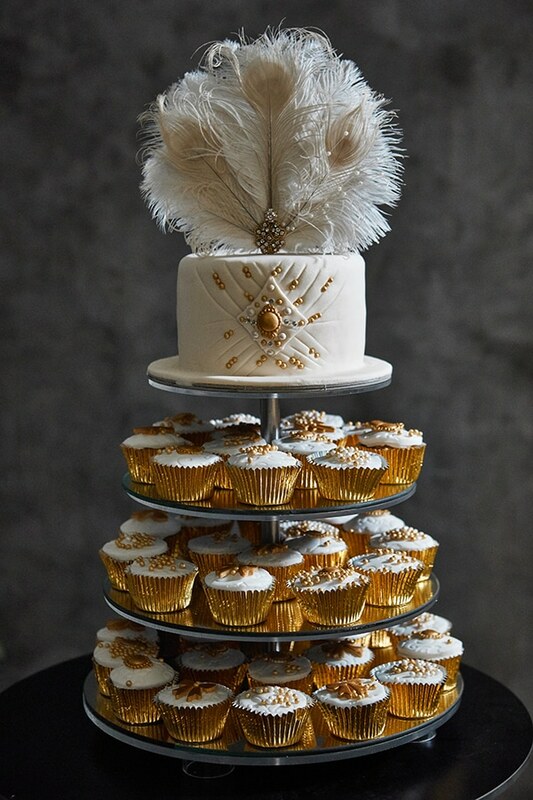 Feather details along with the gorgeous Gatsby style beaded wedding dress bride chose highlighted the theme of the wedding, which was Gatsby inspired. 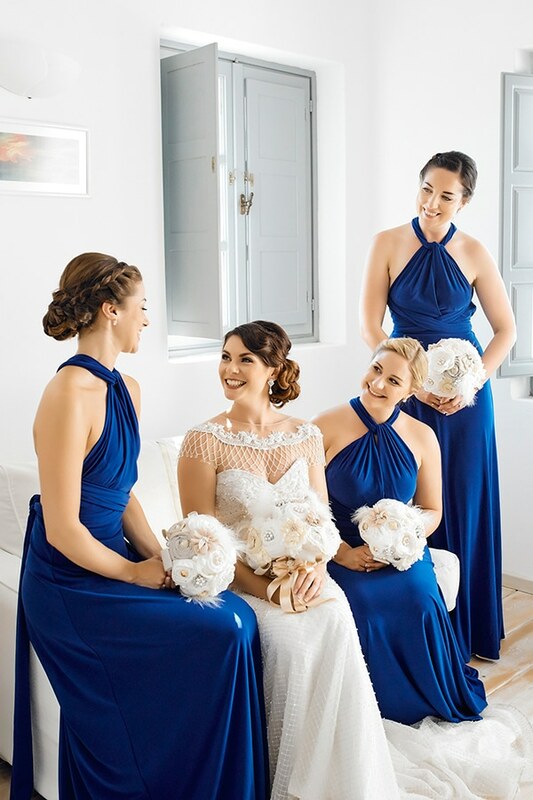 Have a look at this lovely wedding captured beautifully by Antonis Eleftherakis! 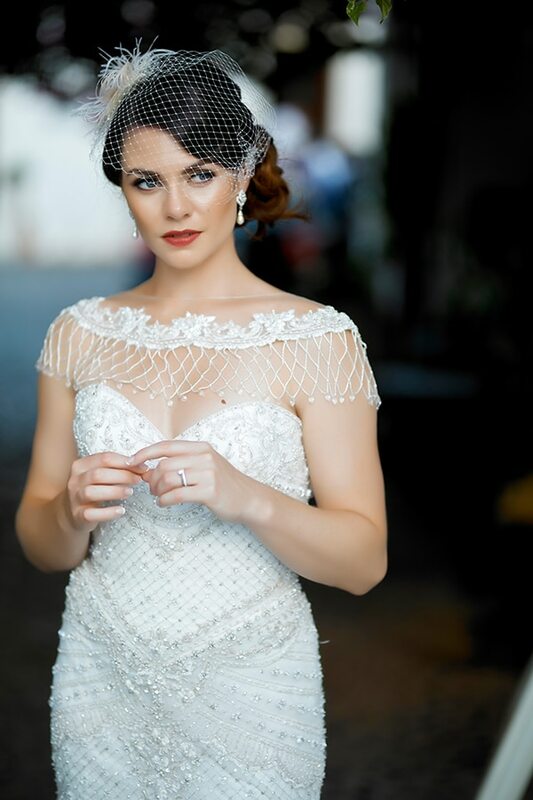 “I had a Gatsby style, beaded dress, with a caplet that could be removed late on in the night”. 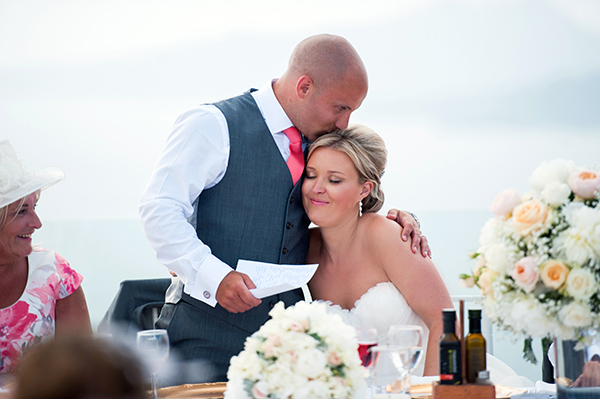 “My bridal bouquet had handmade fabric flowers”. 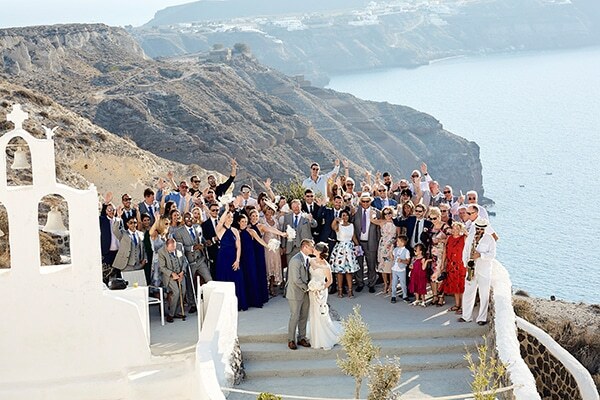 “The ceremony took place at Thermes Villas in Santorini. 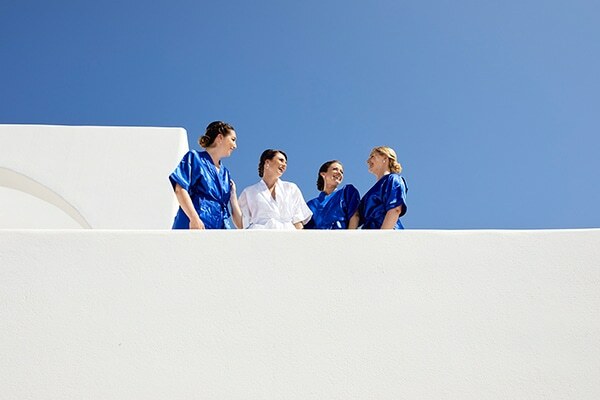 Santorini is the most beautiful place – it’s so calm and busy at the same time. 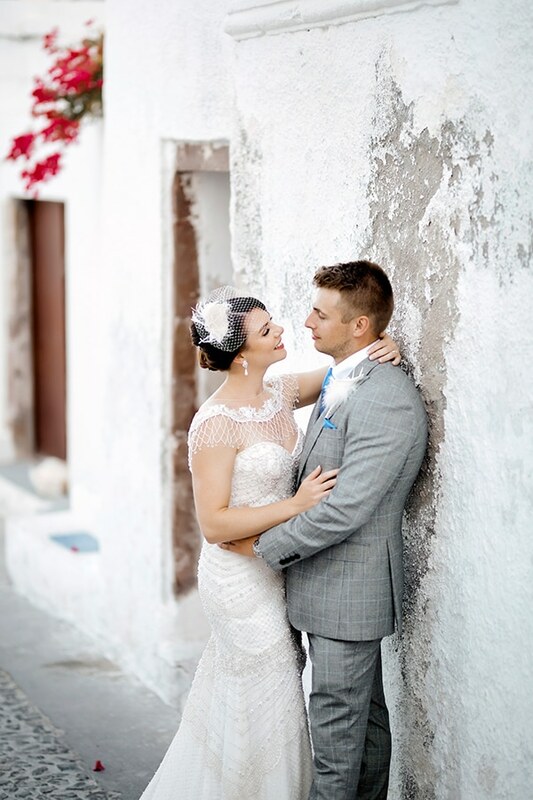 We chose Thermes Villas for its secluded location that was not over looked at all. 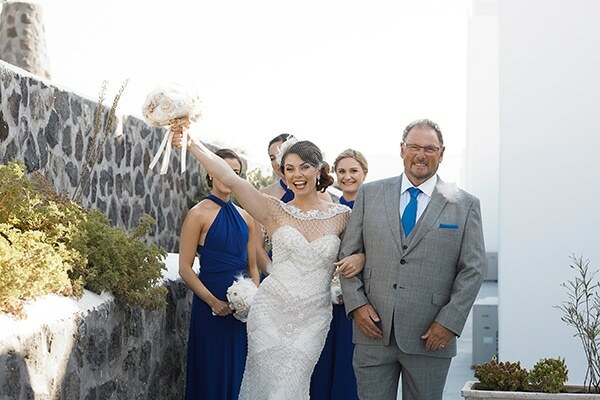 We hired the entire venue for 5 days so all our family could stay at the outstanding villas and we could all be in one place for the ceremony and reception. The views were just spectacular”. 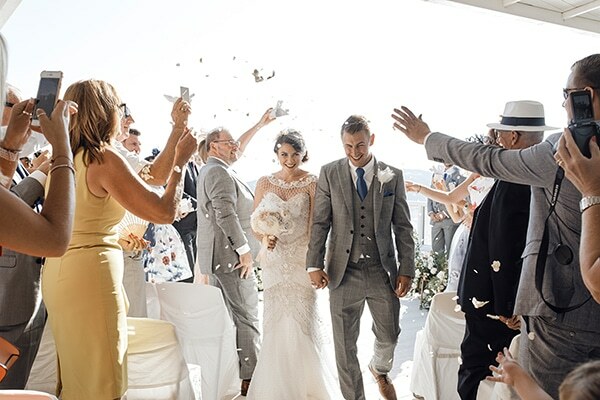 “We went for a Gatsby style wedding. 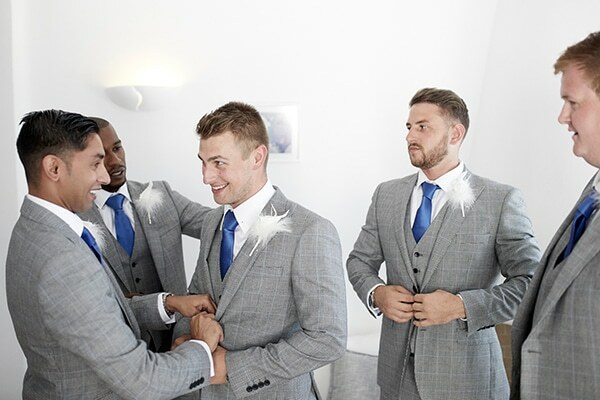 We chose blue bridesmaids to match the colours of Santorini and Gatsby grey suits with blue ties for the boys. 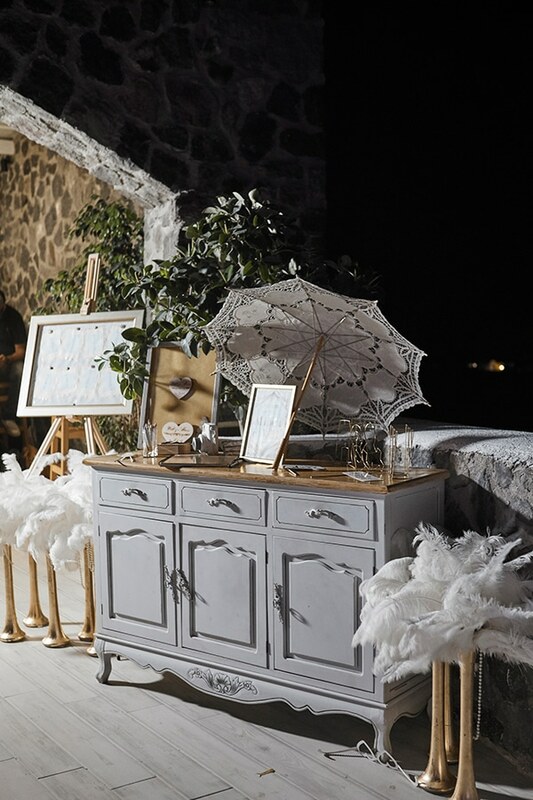 Our table decorations were white and gold with feather centre pieces and candles everywhere. 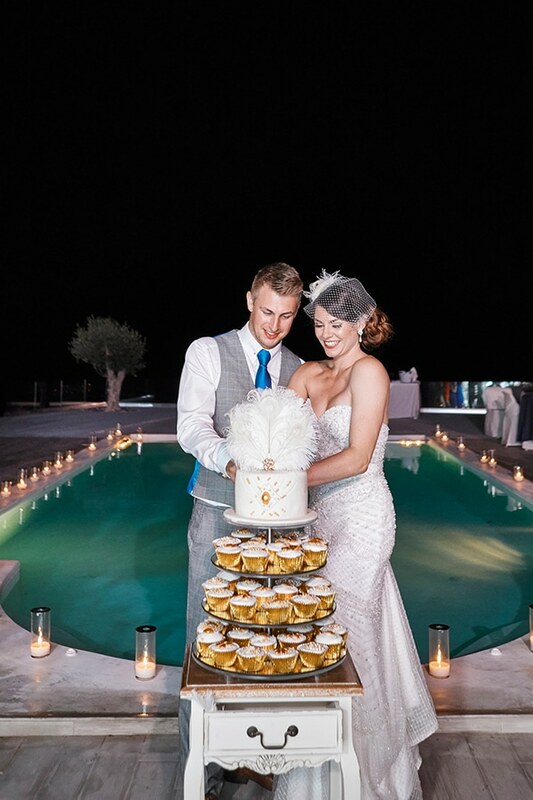 We wanted it to have a romantic feel with floating candles and lanterns everywhere”. 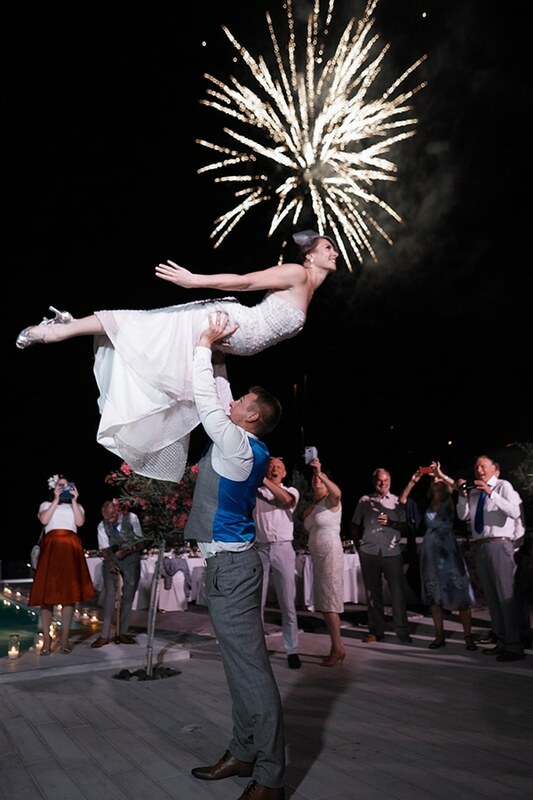 “The best moment of our wedding was our first dance – we did the dance from Dirty Dancing”! 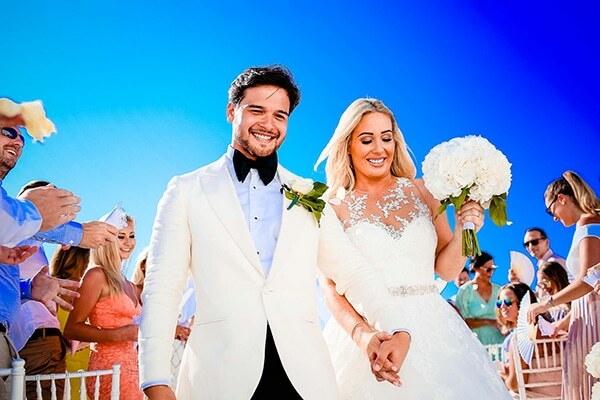 Bride’s advice: “Do what you want – don’t get bogged down with everyone else ideas. 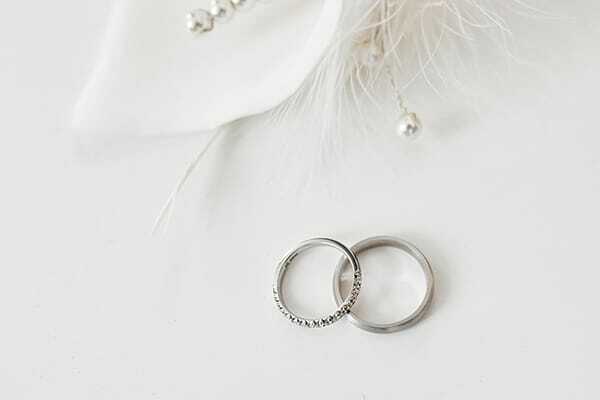 It’s your special day and you only do it once so it must be what you both want”.